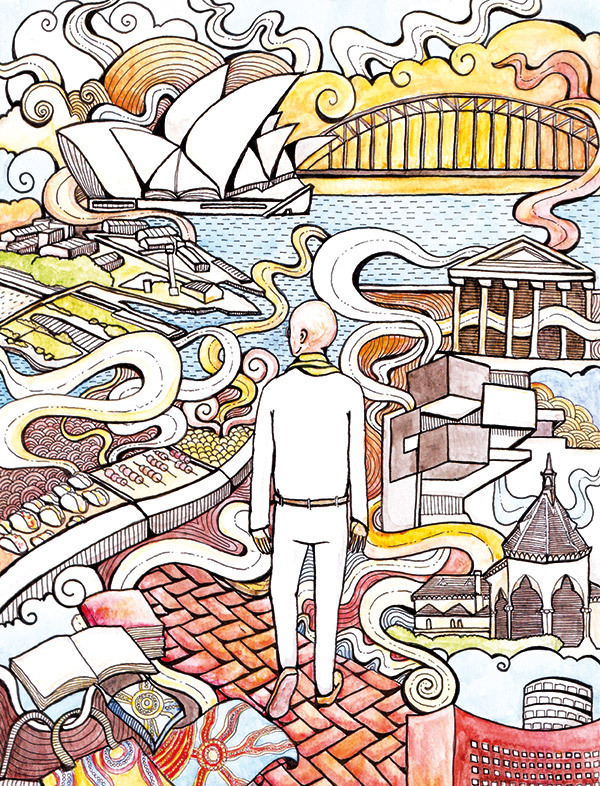 I’ve visited Sydney three times in the last six years. There are many reasons to change urban spaces — the inflow of capital and capitalism, in some cases, can ruin the cityscape. However, a well-curated art and culture programme nurtures better aesthetics. Art, I could clearly see, has brought about definite changes in this lovely Australian city over the years. Sofitel Sydney Wentworth is centrally located in the business district, and is in close proximity to most cultural spaces like the Sydney Opera House, Circular Quay, The Rocks and the Royal Botanic Gardens. You can set out by ferry, train or bus to explore waterways, museums and the beautiful landscapes. It’s quite close to the city’s top stores and boutiques. The first time I visited was during Sydney Biennale’s curator declaration and press conference. It was interesting to know how much cultural tourism has contributed to the city’s economy. The three-month-long biennale brought in 60 million Australian dollars to the city! Cockatoo Island is an awesome discovery — it’s an old industrial landscape, surrounded by beautiful waterscapes, man-made caves and warehouses. Indian artists Sudarshan Shetty, Bharti Kher and Neha Choksi are part of the Biennale of Sydney in 2016. I love books and design, and try to buy most of them from museum shops. I recently got a fantastic pair of earrings for my wife and a few books and DVDs on art. Aboriginal-motif-inspired bags and socks are available at several shopping streets and stores. Sydney offers many multicultural culinary experiences: from Chinese and Thai to Mexican cuisine, there’s so much to choose from. I actually love the street food next to the Sydney Opera House. If you spend enough time exploring the locale, you’ll find many 1000-metre stretches with several restaurants and pop-up food joints — some with bars and live music. They have a lovely, celestial atmosphere. It’s currently the perfect time to visit, as it is a great opportunity to see a fantastic biennale curated by Stephanie Rosenthal at different locations — Cockatoo Island, the Art Gallery of New South Wales, Carriageworks, and the Museum of Contemporary Art. Savour sights like the site-specific mural created by Daniel Boyd, the ever-popular Sydney Opera House, and the open-air theatre spaces. The Mortuary Station, an old railway building, is one of Sydney’s living museums and is now being used for the biennale. The Sydney Opera House may be the most popular symbol of the city, but not many know that there’s a growing awareness about art, music, theatre and film culture there. The government is making investments, having realised the soft power of art and culture. Award-winning artist and curator Bose Krishnamachari specialises in painting, photography, drawing, sculpture and mixed-media. 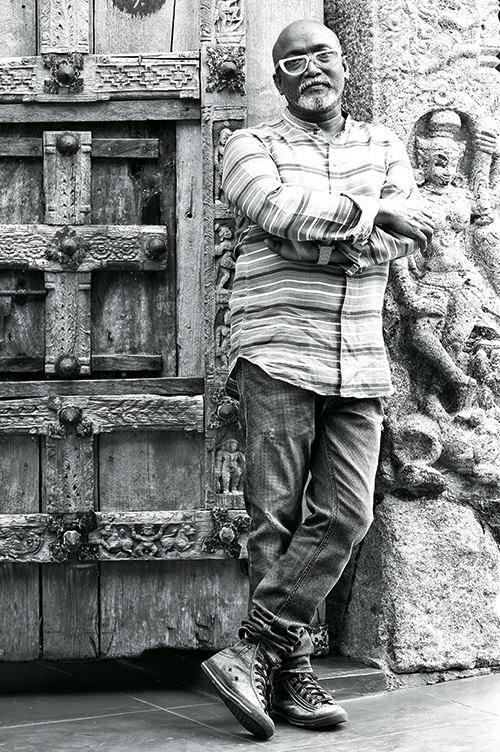 He is the director and one of the founders of the renowned international exhibition of art, the Kochi-Muziris Biennale.